I love creating simple table activities to encourage sensory play, the current theme we're studying, and to promote literacy. 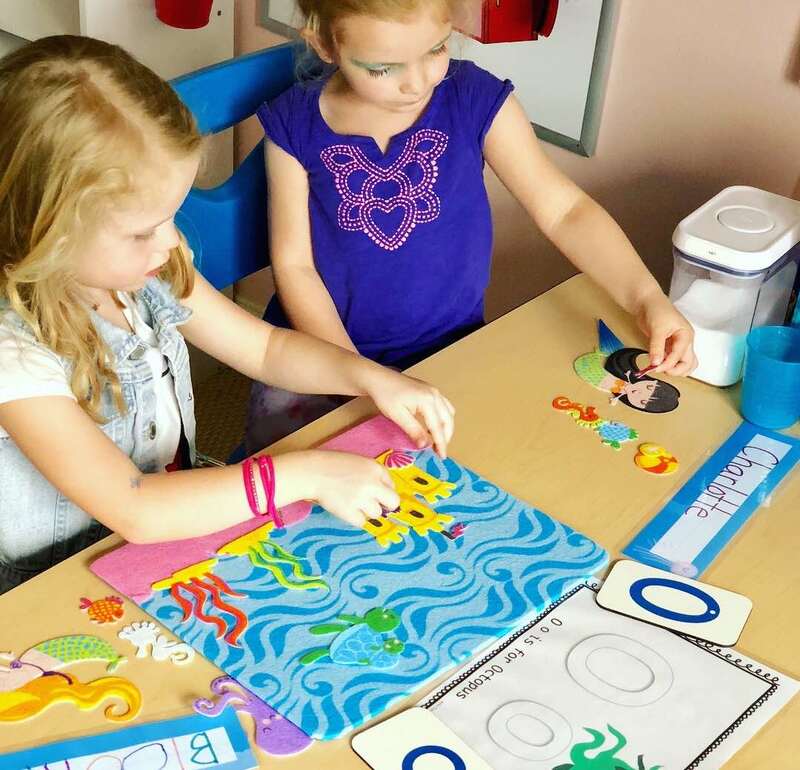 Here we have set up a felt mat activity of the Ocean with adorable mermaids. 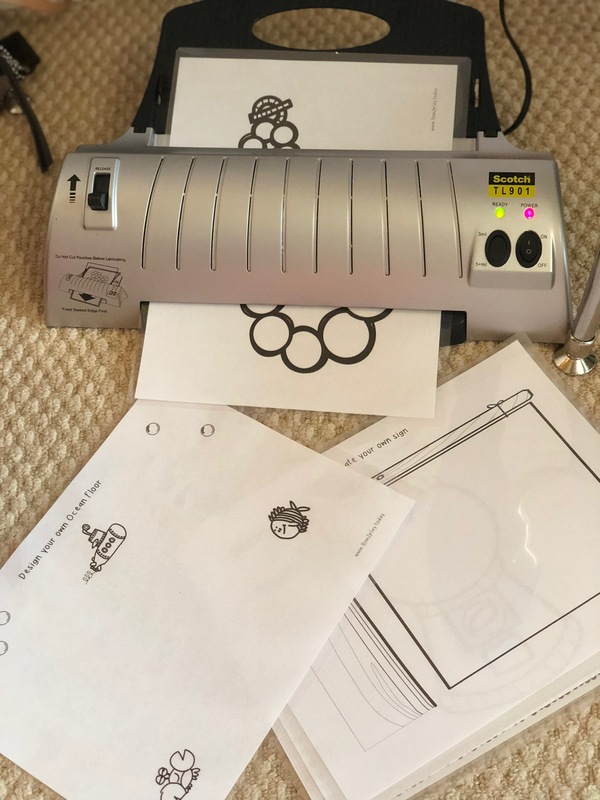 Laminating is one of my favorite things to do and so I've created many mats for the kids to use over and over again. 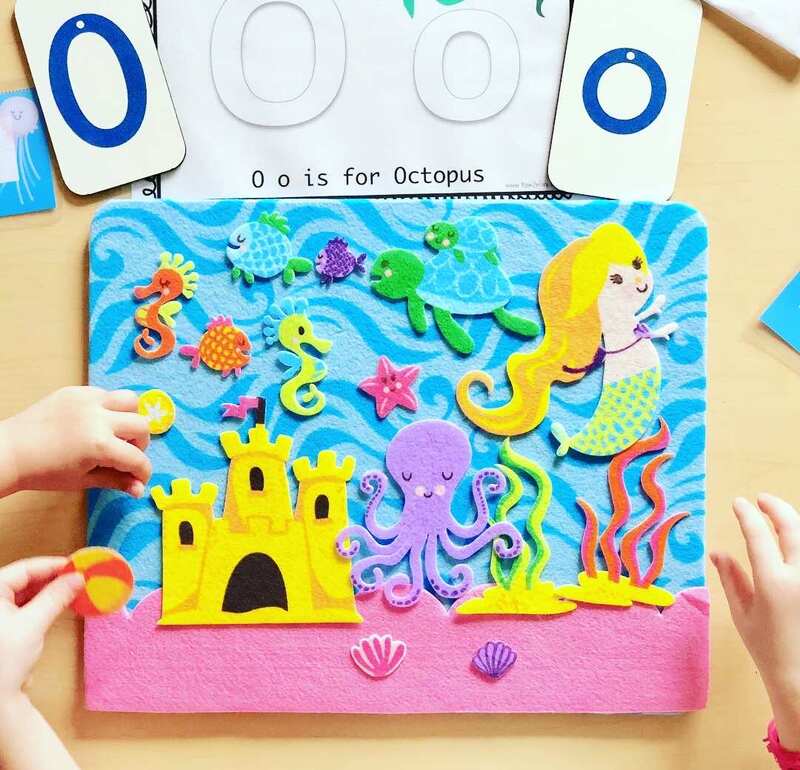 This Oo is for Octopus is laminated so that they can use dry erase markers to trace the letters or we can pull out the play-dough to add extra sensory to the activity. 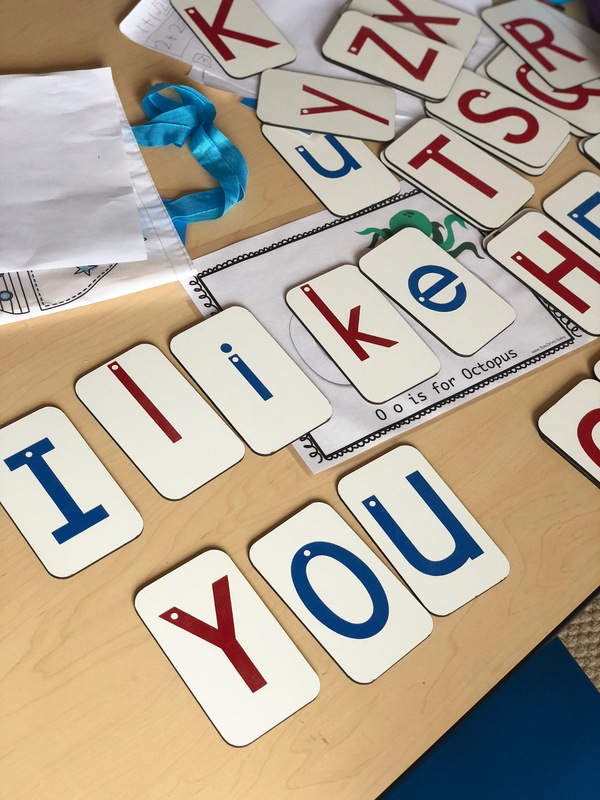 These Montessori sandpaper letters are amazing! They're made to order, high quality, and my children absolutely love playing and spelling with them. Great for letter recognition, sight words, etc.